For those who missed Steve Backhall's Deadly 60 Live Show at the Arts Centre Melbourne last year, fear not, the fearless British TV host will return to Melbourne and Regional Victoria this coming January, in Deadly 60: Pole to Pole Live! Steve Backshall, the star of Deadly 60, is best known for sharing his travel adventures and encounters with Mother Nature's most deadly creatures. Backshall, a wildlife expert and intrepid explorer, has captivated audiences all over the world with his incredible antics, which not only impress but also educate children and grown-ups to respect all creatures great and small. Since it's first airing in 2009, the Deadly TV series has seen Backshall swim with sharks, been bitten by a caiman and come face to face with some of the most venomous snakes on the planet. He's travelled from the Arctic to the Antarctic, reached the world's highest peaks and explored the depths of the rainforests to the bottom of the ocean. 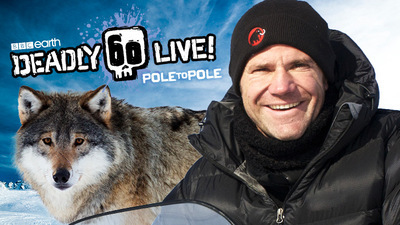 Deadly 60: Pole to Pole Live is an event to entertain all ages of wildlife enthusiasts, would-be explorers and global travellers. If you're wondering what to expect from a live show featuring Backshall on stage without any animals, the Deadly 60 TV star takes audience members on a personal journey, recapping some of his most adventurous encounters. The charismatic host inspires young fans, and captivates parents & guardians with this incredible experiences. Get your questions ready, because Steve Backshall takes part in a Q&A session, and there might just be an opportunity for you to meet with the star after the show, although you can expect queues for photo opportunities. Age suitability: 5yrs to 80yrs plus!